Every season has its unique way of tending to the human body, and winter is no exception. Though it apparently comes along as a dry, rough time with chilly winds and arid trees, it brings along its own array of nature’s bounty to fight the cold and keep warm.Hence, winter is the perfect season to pile on the layers of clothing, and indulge in the most luscious ,decadent seasonal delicacies that explode with flavour whilst keeping a keen eye on the nutrition scale . Here’s a list of 5 traditional Indian delicacies that you must try this winter. GajarkaHalwa is an all-time favorite for the Indian sweet tooth, but winter perhaps adds to its charm. The dish originates in the state of Rajasthan and is, made with grated carrots cooked in sugar, condensed milk, and clarified butter, and generously sprinkled with dry fruits. Kolkata is known as the dessert capital of the country. We are famous for our proverbial “sweet tooth”. 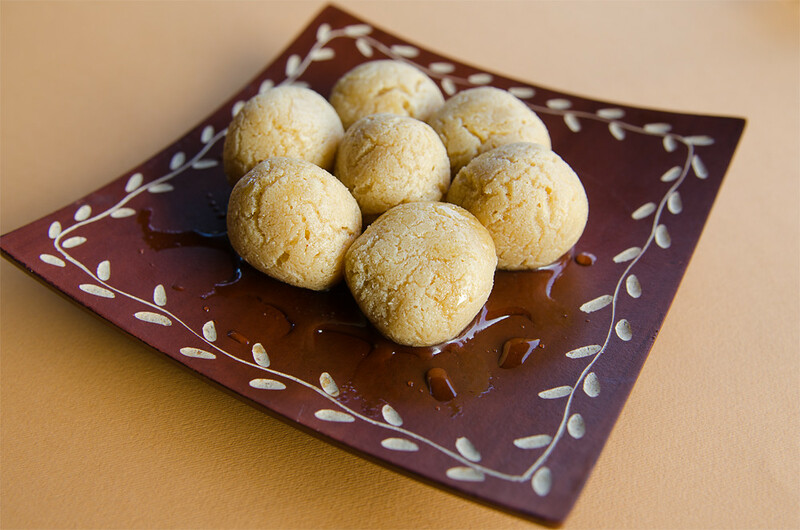 Kolkata in the winters has a veryspecial surprise called “Nolen GurerMishti.” These delicious mounds of goodness are special sandesh and rosogollas made from Nolen Gur or Date Palm Jaggery, which is only available in abundance in West Bengal during the winter months. Since dates generate heat, the jaggery helps in keeping the body warm, aside from providing a heavenly taste that has everyone asking for more. Stuffed with seasonal vegetables and deep fried, these snacks are an integral part of all wintry evening soirees in India. Can you imagine eating laddoos or balls made of gum? In India, we take our relationship with these little balls of divine goodness very seriously. (Literally so, our deity Lord Ganeshas love for the sweet is legendary). 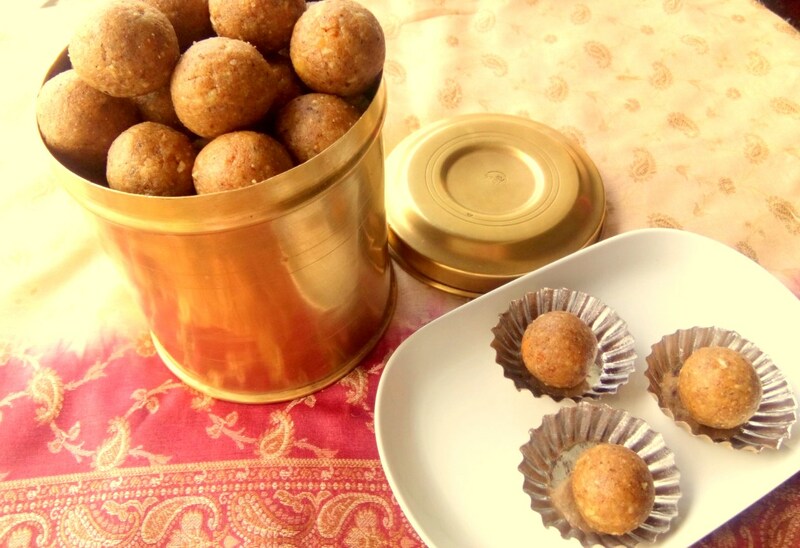 Gaund ke Laddoos are traditional North Indian winter sweets made from edible gum extracted from the bark of a particular tree. It is then mixed with wheat flour, dry fruits, clarified butter, black pepper, and dry ginger. Besides being supremely palatable ,Gaund provides warmth to the body and fights winter chills, though these are beneficial only when consumed in small numbers . From the extreme western part of India comes Undhiyos, made with Papdi, a special vegetable available only during winters. 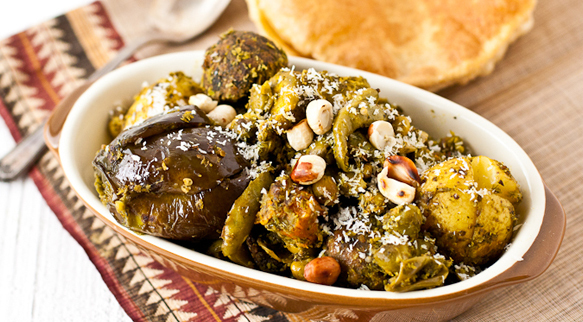 Papdis are made into a stew with spices and other seasonal vegetables such as brinjals, peas, sweet potatoes, and traditionally eaten with MethiRotis. Methi fights cold, and papdi and sweet potatoes are storehouse of potassium, magnesium, and various other minerals. So, indulge in the sinful warmth of winter foods and stay healthy during this season to enjoy the festivities and the holidays.